Change has come to AdWords! And, is it for the better? Should you be concerned, relieved, elated? Well if anything, you should be informed! And that’s what I’m here to do today. If you haven’t upgraded your account yet, AdWords will automatically do this on October 12. So keep reading to make sure you are prepared. This post aims to explain the biggest changes that will affect you when you use AdWords to run video ad campaigns. I won’t be discussing every teeny-tiny change they have made because that doesn’t fit inside this post! And mostly, because a lot of the new features are geared towards advanced AdWords advertisers and agencies. After I walk you through the basic changes you DO need to be aware of, make sure to watch the video at the top of this post. In this video, you’ll learn exactly how to manually set up your Instream Video Ad Campaign in the new AdWords interface. And, you can also download this tutorial in PDF format by clicking on the green button below. It shows how HOT and HAPPENING video advertising really is! (and that if you’re reading this post right now, you’re still in the club of awesome early adopters). Oh AdWords, you tease! Well, we say bring it on! Of course, it ALSO means that things look and feel a little differently from now on. Below I’ll walk you through the main differences, to make sure your transition will be smooth as butter. We used to literally and figuratively have a separate corner in AdWords. To go to All Video Campaigns you would have to click on the link in the bottom left corner in AdWords. 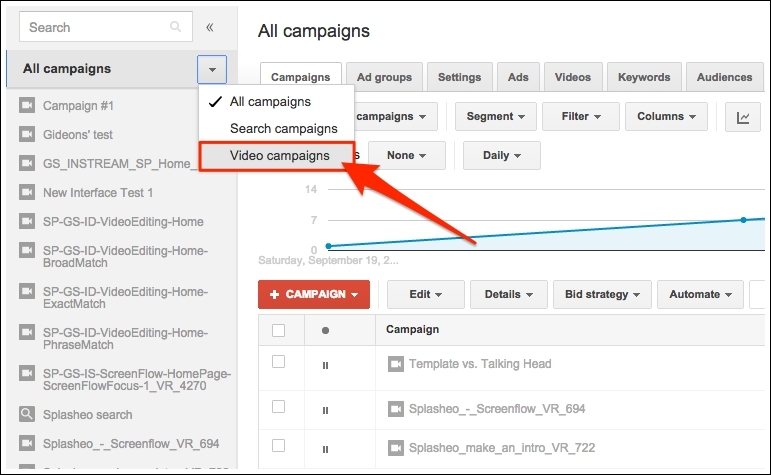 From now you can simply find your video campaigns by clicking on the little arrow next to All Campaigns. 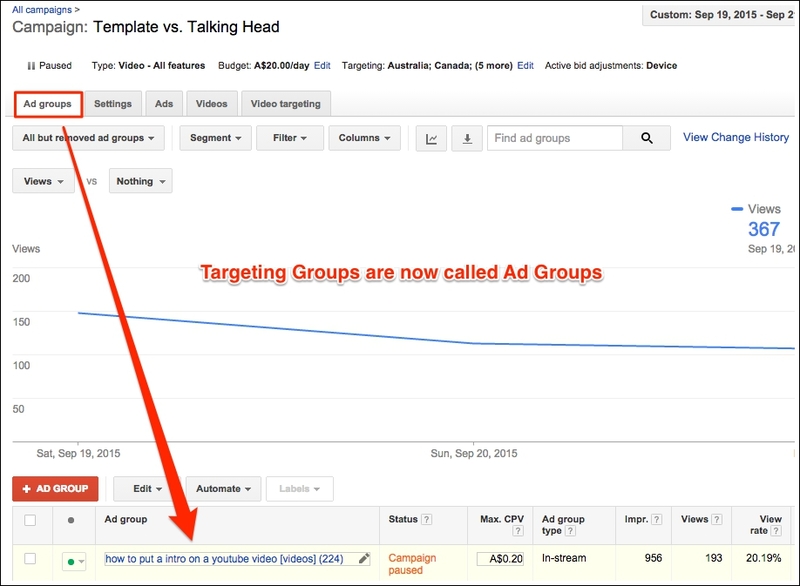 Ad Groups, that were already used in the rest of the AdWords interface, have replaced Targeting Groups. And, they have their own tab inside the main menu. Targeting Groups and Ad Groups are similar in that they’re both containers for bids, targeting, and ads. One of the biggest differences is that an Ad Group can now only contain one format; either in-stream OR in-display. At Veeroll headquarters we always (advise to) run tests with In-stream and In-display ads separately so you can use a different type of video for each campaign. If you’ve been doing the same, this change doesn’t really affect your workflow that much. In the new Video Targeting tab, you can easily filter on each targeting type, to see what is and isn’t working and adjust your campaign accordingly. One of the biggest changes in this AdWords update has to do with advanced reporting, segmenting, filtering and bulk management functionality. Yes yes indeed! If you’re overwhelmed by just reading that, I hear ya! After playing around with these new features we think that a big part of this update will MOSTLY be useful for advertising agencies and advanced AdWords gurus that are running hundreds of campaigns at once. Of course being able to understand your data and edit your campaign settings IS important. But we’ll look at how to do that – in a NOT overwhelming way – in another post. Because, before you can look at your data, you need to know how to setup a campaign in the first place. 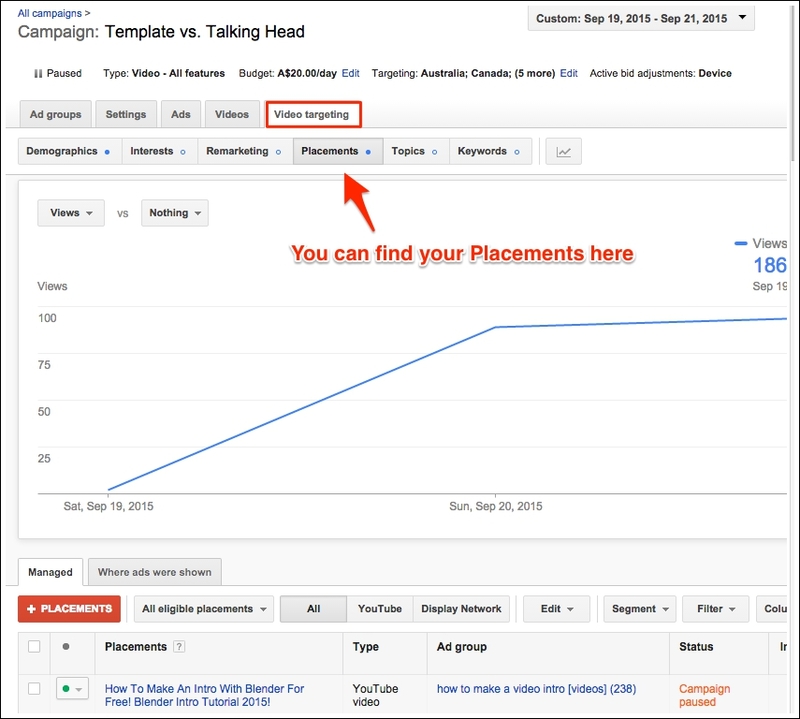 And guess what, I made a video at the top of this post showing you EXACTLY how to do that inside the new AdWords! If you’re not into video tutorials and would rather follow along with a PDF, I’ve got you covered as well. Click the green button below to download a step-by-step tutorial on how to create an Instream Ad Campaign inside the new interface. Our Veeroll members are always the FIRST to get access to our new trainings, so make sure to sign up for an account HERE to become part of the club! (Last week Gideon provided a 2 hour in-depth training on the changes and the new features inside Veeroll. So, make sure to sign up if you want to take your video advertising to the next level). Alrighty! Did you watch the video and do you have any more questions? Don’t hesitate to leave a comment below. And, if you know anyone that might be helped by this article, or that should REALLY start with video advertising alright already (! ), please share this post!